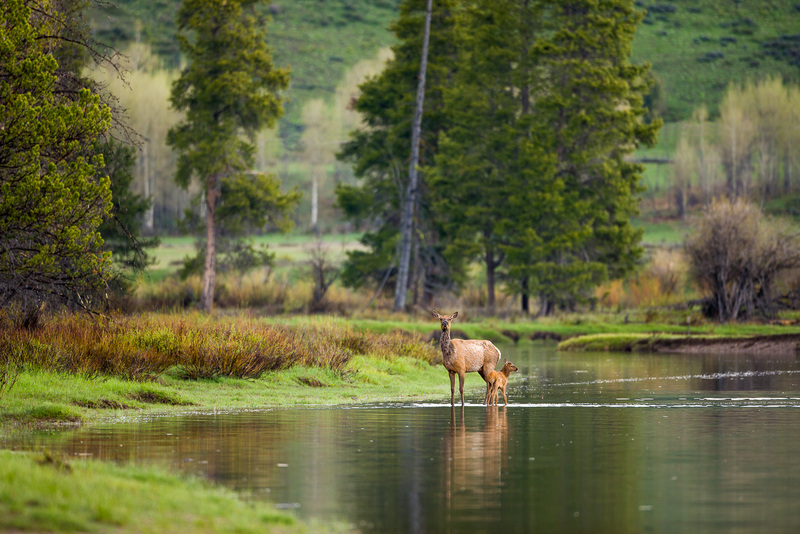 Often a elk will lead their young to across rivers to islands of land as a safe haven from wolves, coyotes, grizzles, and other predators. This mother's trick gives the young a time to grow and gain strength while nursing. Photo © copyright by Lance B. Carter.